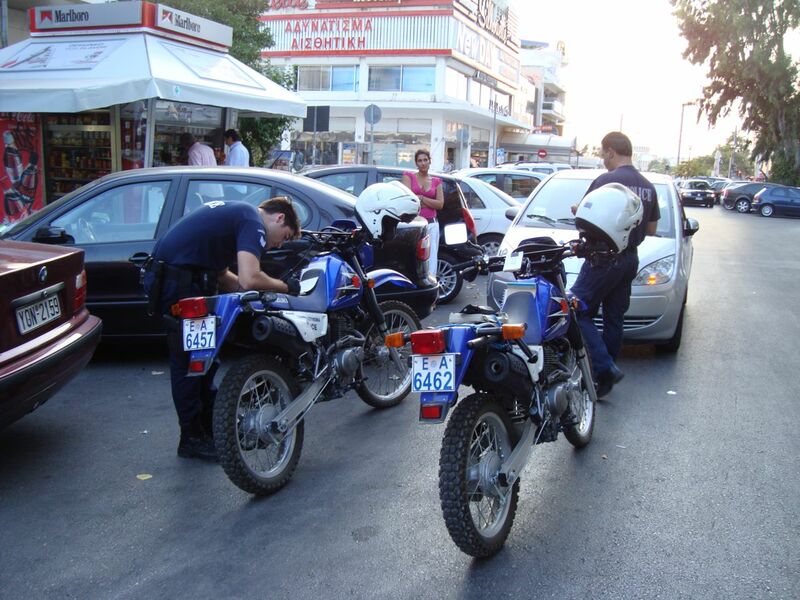 I shot this photo in Athens, two Policemen writing a ticket for double parked car. 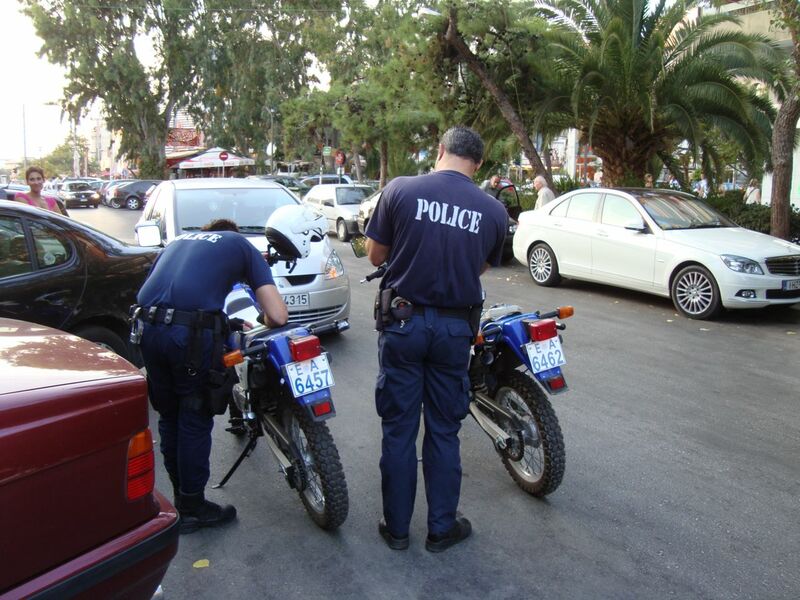 The nice thing about the Police there is that they use motorcycles a lot, and can get to you in no time, the lady you see in the photo wanted to leave but couldn’t because someone blocked her so she called them and it took around 5 minutes for them to be there. The driver of the double parked car came running -a lady too-, but it was too late so she got the ticket and a nice shower.